Skipper Darl was the first costumed children’s program in Minneapolis, debuting in late 1953 on WTCN-TV. The character was portrayed by Daryl Laub, who was broadcasting on WMIN radio at the time. Daryl Laub was also portraying J.P.Patches at the same time. 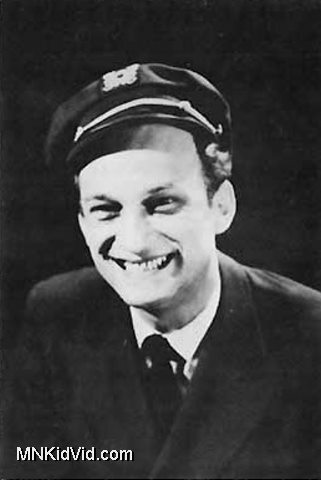 In mid-1955, KSTP hired Daryl away from WTCN and Skipper Darl became Kaptain Kartoon with the move. Later the character became Captain Daryl and the show was called Captain Daryl on Cartoon Island. The program continued until 1962.